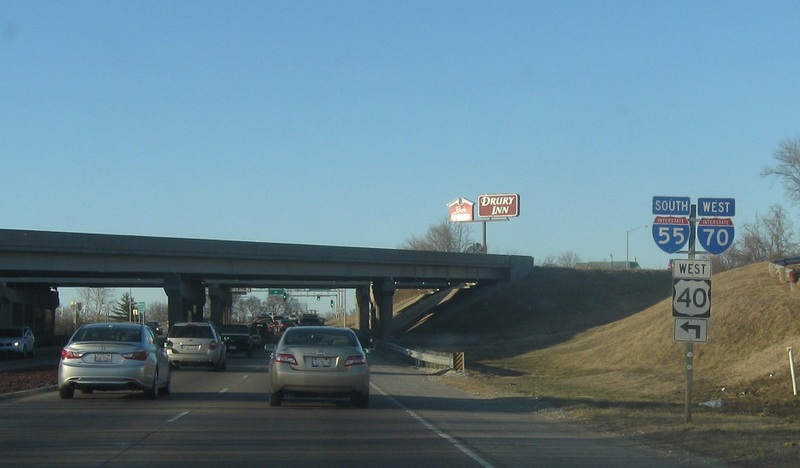 Reassurance shield after the I-64 junction. 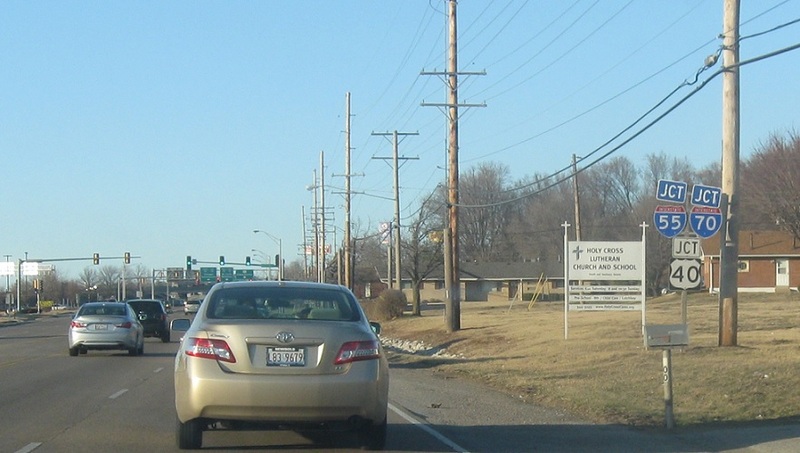 On the north side of Caseyville Rd, keep left for 157 north. 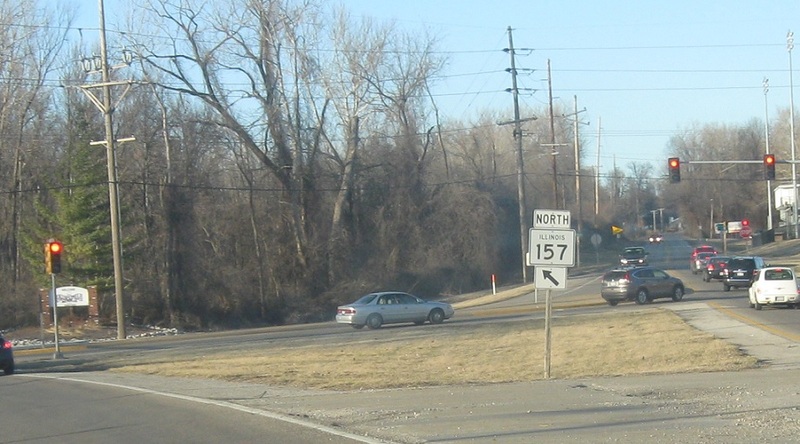 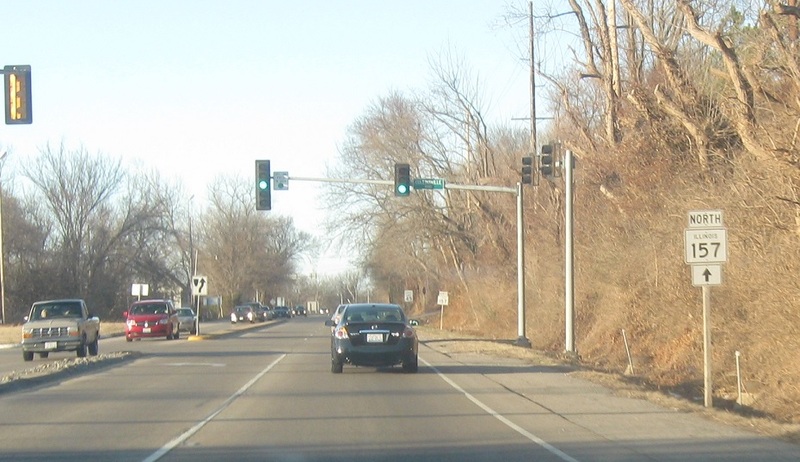 A bit later, stay straight to stay on 157 north. 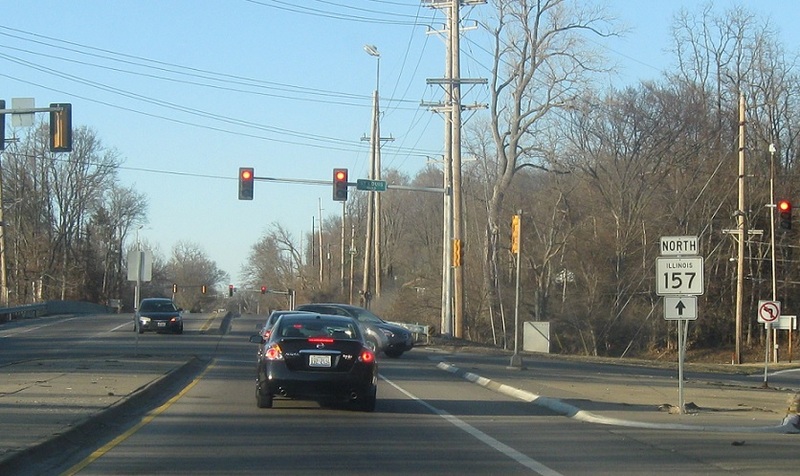 Stay straight to stay on 157. 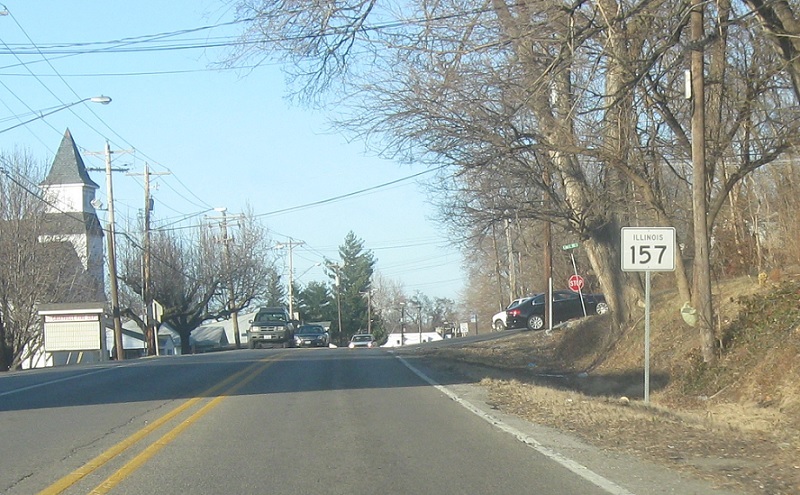 Reassurance shield after Collinsville Rd. 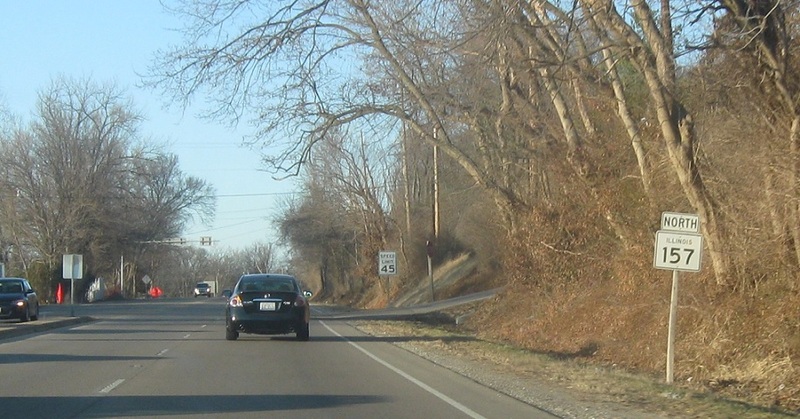 A couple miles later, we’ll approach Interstates 55/70 and US-40. 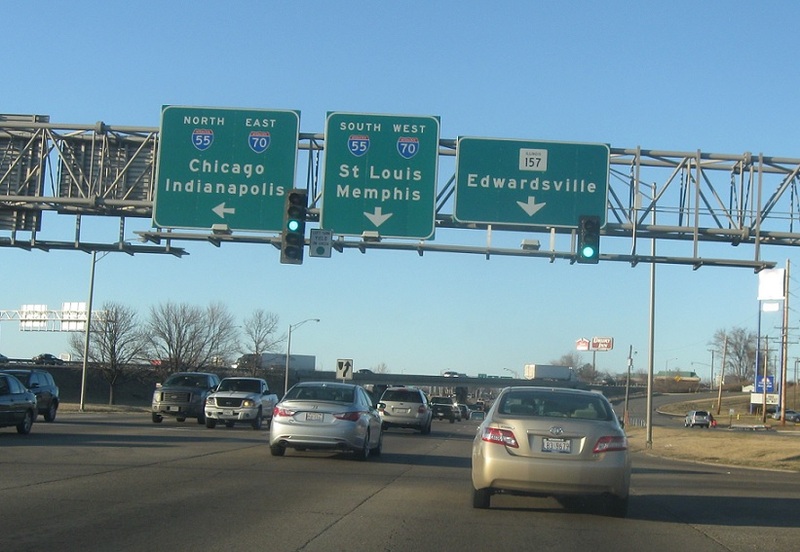 Turn left for 55 north and 70/40 west towards Chicago and Indianapolis, Ind. 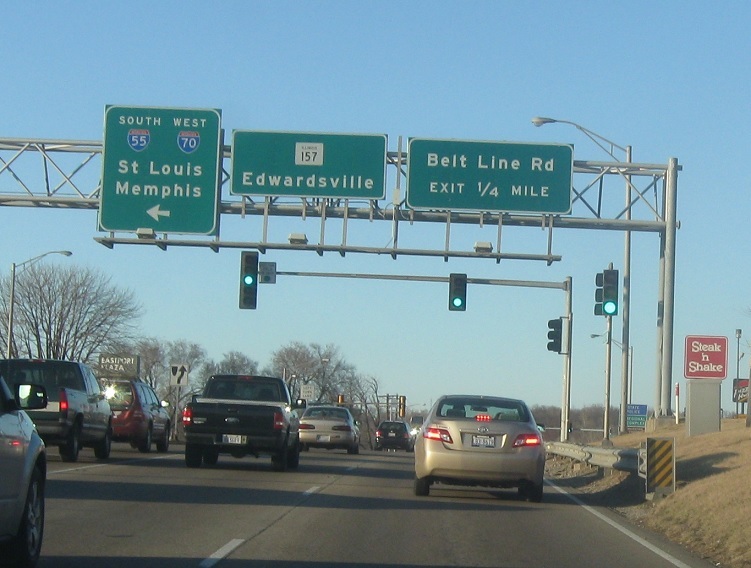 Follow 55 south and 70/40 west to St. Louis and Memphis, Tenn.